Get an extra $10.00 off on your order of Quicken Premier or any of the other top selling pc version when you follow our instant coupon link. There is no need to enter any 10 digit codes into the special offer code box at checkout as the offer will be automatically added to your order. This offer is expected to last through to the end of the month. Now on Sale! 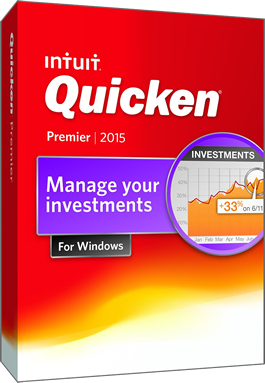 The new Quicken Premier 2015 is now available at Amazon! Sold by Amazon Digital Services, Amazon has just released Premier 2015. They also have some of the best deals on the remaining Quicken 2014 version in-stock as they clear out the remaining boxes. Be sure to see the latest deals which should save you between 20% and 40% off the sticker price. At Amazon you also have the choice to receive the boxed version which includes free shipping or free instant download after purchase. No promo code is needed but offers will change daily based on availability. With software moving away from the laptop and into the cloud, Intuit has recently revamped Mint.com to one of the best online solutions to tracking your finances and managing your budget. Best of all, they are currently not charging for you to open and use a standard account, which includes free tools to connect to your bank and credit card accounts to get all your financial updates in real-time. They also include financial advice based on your purchase patterns to help you cut down on your expenses. Putting all your eggs into one basket is not considered wise, unless we do that for monitoring and planning purposes. Quicken Premier 2015 is your command center where you have access to your checking and saving accounts, cash, credit cards, investments, assets, and debt. Most of the information is imported so you are not burdened with too much manual data entry. Quicken Premier comes with several features that individuals owning investment assets might find appealing. Once you link up your brokerage account to Quicken, you can determine your risk level and the software will analyze your current investments to your desired risk. It can present it as a chart comparing your portfolio to what it should look like to meet your risk vs. rewards specifications. You also have access to recommendations of different investments based on Morningstar ratings. All that information is linked to your tax center that tracks your current performance and makes suggestions for the maximum tax benefit at the end of the year. Additionally, based on your past transactions the software can put together the following reports: Itemized Deductions (Schedule A), Interest and Dividends (Schedule B), and Capital Gains and Losses (Schedule D). All that information can be later exported to TurboTax to complete you tax return. Although investments are big portion of Premier version, it’s not limited to that. You can create budgets and compare your spending patterns, set savings goals and monitor where the bulk of your spending comes from. Analyze your debt and create pay-off plans based on different payment amounts. Create payment reminders to make sure you won’t fall a victim of a late fee and see your cash inflows and outflows graphically. And if you have questions regarding the software you call always reach out to Quicken Live Community for general and specific questions you might have.